California Baptist University athletics announced Jan. 13 the acceptance of the invitation to join the Western Athletic Conference as part of a move to NCAA Division I.
Dr. Ronald Ellis, president of CBU, Dr. Micah Parker, director of Athletics, Kent Dacus, vice president for Enrollment and Student Services, and Jeff Hurd, commissioner of the Western Athletic Conference, held a joint news conference regarding the move. Hurd said the WAC has been in existence for about 55 years. 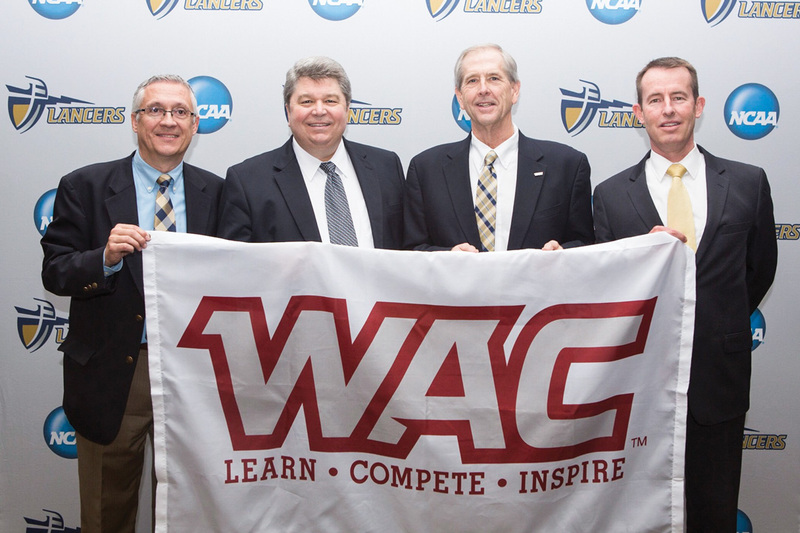 He noted the WAC brand is filled with superior programs. Talks of the move to the WAC began in the summer of 2016, which led to a campus visit in early September. Parker said the future of CBU athletics and the CBU community looks bright. CBU is currently a member of the DII PacWest Conference and will transition in 2018.